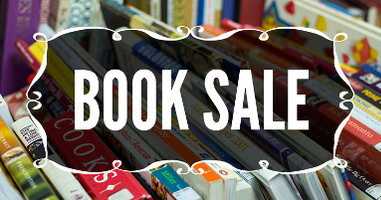 NEXT SALE-- Thursday, April 11 through Sunday, April 14 LOCATION 2nd floor, North Library Building (1107 S. Duck) PRICES Hardbacks $1.00 Paperbacks, DVDs, VHS tapes, CDs and cassettes $.50 Children's books $.25 No sales tax on your purchases! Note: The Friends of the Library accept cash or checks (made payable to FOL). No credit or debit cards are accepted. MEMBERS ONLY PREVIEW Thursday 5:00 p.m. - 8:00 p.m. A Friends of the Library memberships is required to attend the Preview Sale. Preview customers are limited to 100 items total, including 50 children's books. About memberships: Valid for one calendar year Available at the door or during business hours at the Stillwater Public Library through April 3rd Annual $10 or Lifetime $100 GENERAL PUBLIC Friday 12:00 p.m. - 8:00 p.m. Saturday 10:00 a.m. - 5:00 p.m. $1 BAG SALE Sunday 1:30 p.m. - 4:00 p.m. Bags are provided and there is no limit to the number of bags available for purchase.